Just like any other aspect in Digital Marketing, Social Media is in a continuing change and evolution. Technology’s advance is fast, and so are the habits of internet users and the newest generations that are taking control on the market just as quickly. 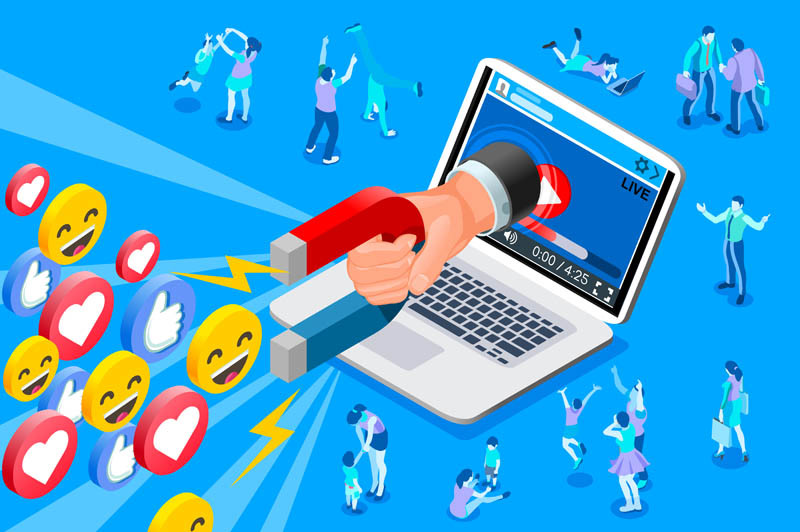 So staying on top of the social media trends for 2019 is definitely a must for every marketer willing to survive such continuing changing landscape. Considering the latest Google updates in 2018 regarding quality content, it’s no secret that one of the best strategies for the current year will be to understand your target audience and craft appropriate, targeted, unique content to engage your audience. You need to send the right message and you need to do it using your own persona. Long gone are the days when people wanted to consume “reality” through catastrophic, disgusting or tragic stories. 2019 audiences want the exact opposite: to hear good stories and be treated with kindness. So this year one of the first things you need to do on your social media platforms is to be as responsive as possible with your audience. The nature of social media is interaction, relationship, engagement. You need to authentically be there and respond to your followers quickly; even when they don’t have something nice to say. When connecting and marketing with people using social media platforms and apps, it’s fundamental to be present and interact within these platforms instead of just using them for visibility and send traffic back to your site. In 2019, you need to make an effort to invest enough time to understand your clients and how they interact with your brand on each social media site. Then, you will be able to engage with them in the correct tone, through the right medium and the right communities. Responding in time, with a genuine reply (no cookie-cutter or copy-paste) is the beginning of generating a real branding for your company. It’s the ultimate proof for audiences in 2019 that you really care about them and that you will be there to provide the service you’re promoting. This is like that mainly because of two factors: the popularity of real-time customer service through interactive chats and the ability of users to do reviews on some social media platforms like Facebook or sites like Yelp. Aside of this, audiences in 2019 also expect to read something that makes them feel good. Your honest, quick reply is a beginning, but good, inspiring news and posts are increasingly engaging nowadays. Sharing authentic, moving, meaningful posts is essential to make a difference. You can do this by sharing posts about themes that are related to your industry and generate opinions on people (just try to avoid excessive controversy or touching people’s nerve too much). You should also know that audiences today are easily engaged with everything that makes your everyday life. You need to use less static updates and more behind-the-scenes, intimate and raw; true stories of your life. Don’t worry about the framing, the mistakes or the quality (although any smartphone now has a decent camera). Tell genuine, nice stories about your activities, show the places that you visited and even the food your happy clients bring to you from time to time. When it comes to social media, everyone is somebody. Engaging with influencers, knowing who to speak to; when and how to speak to them and even knowing when to shut up and listen are fundamental skills for social media marketing in 2019. It’s also a good advice to find and nurture strategic partnerships through relationship building. Be social with non-competitive influencers such as other business owners, leaders and so and generate opportunities for joint projects, shared content ventures, client referrals, sharing of data for studies, etc. Invest in Live Video: as you partner up with influencers or develop content with a more a real human touch instead of highly produced content, going live on Facebook or Instagram regularly is the ultimate engagement. Interactive video: craft short videos that can run as ads compatible with interactive shows on Facebook Watch and IGTV. Use smartphone-quality videos: this connects with the storytelling we mentioned lines above. You need to get away with videos made on a smartphone in order to keep up with the pace of content users demand. Such ephemeral life for content requires smartphone-quality videos, which has become acceptable and even attractive to most users. Video remarketing: you have many remarketing capabilities when someone watches your video. Video capabilities and analytic data will provide you with granular targeting based off video advertisements. 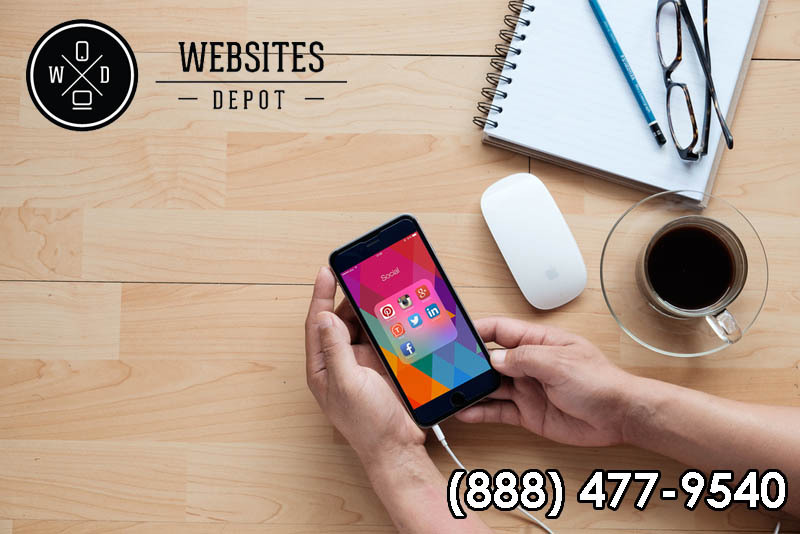 For more information about how to manage your Social Media Marketing in 2019 contact Websites Depot at (888) 477-9540 and make an appointment with our account executives today!